The high fantasy of Game Of Thrones has lent itself to some fantastical marketing promotions, from tie-in beers fit for kings to dragon shadows inked across the New York Times. 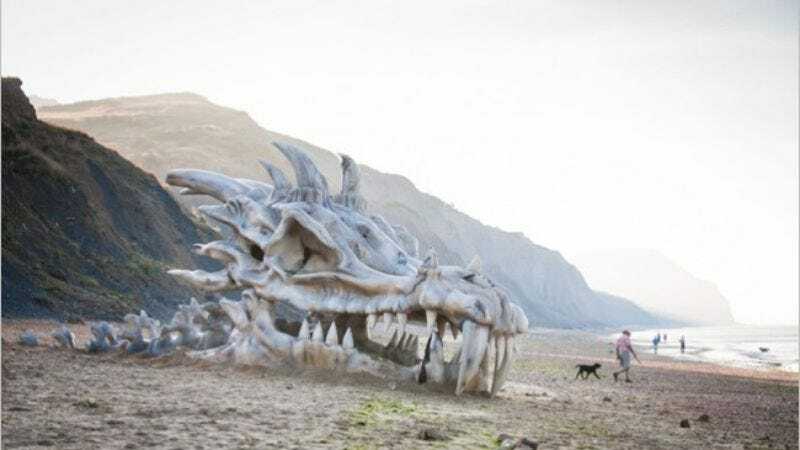 But this past Monday, UK streaming service Blinkbox outdid them all by erecting a dragon skull with all the size and subtlety of a London trolley on a beach along Dorset’s Jurassic coast. The set-up, inspired by the scene of Arya discovering a dragon skull in the dungeons of King’s Landing, was commissioned to publicize Blinkbox’s release of Game Of Thrones’ third season.